iTunes Home Sharing allows you to share iTunes media libraries between up to five home computers, and play content on iOS devices and Apple TVs through a Wi-Fi connection. 1.6 Home Sharing Does Not Transfer Playlists and Ratings. 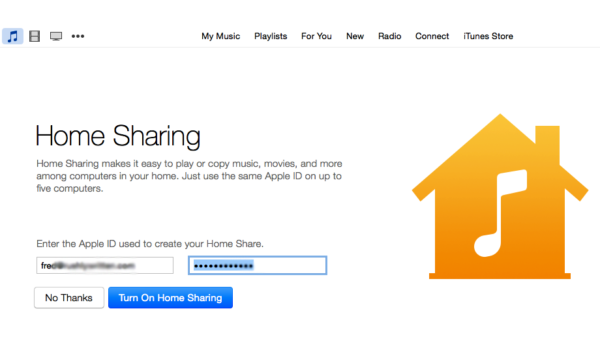 iTunes Home Sharing is a great feature, and any user can make the most of it. However, it is frustrating when it does not work. Below we explain how to solve a handful of common problems that arise while using Home Sharing. Apple introduced Home Sharing with iTunes 9, so if you have an earlier version of iTunes, you need to upgrade to the latest version. The only exception is if your computer’s operating system doesn’t support the latest version if iTunes. In this case, make sure you’re running the latest version available for your OS. 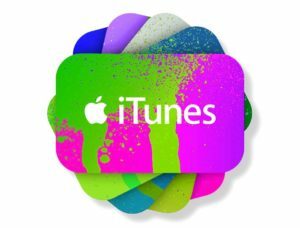 If your iTunes Home Sharing computers can’t see each other’s songs and other items on the network, make sure that the computers are connected to the same network. In a home setup, this is not usually an issue, unless you have deliberately divided the network into different subnets (logical sections). However, if you are dealing with a bigger network, such as a dorm network, it may be divided into different subnets, in which computers on each subnet can see only other computers on that subnet. Second, make sure that iTunes on each computer is signed in to the same Apple ID. If you have set up two or more Apple IDs, and you are using different ones for different computers, you will need to use a single Apple ID for Home Sharing. If the computers are on the same network, and using the same Apple ID, check whether the computers can see other shared items – for example, printers and shared folders or files. If they can, it is likely that the router is set to suppress multicasting, a feature that sends data packets to several computers at once across the network. Home Sharing requires multicasting to be turned on, but some routers turn it off by default to help avoid too much traffic bouncing around the network and overwhelming it. If this seems to be the case, log in to your router’s configuration utility, or Web-based configuration screens, and look for an option to turn on multicasting. Routers use different terms for this, and the configuration tools hide it in different locations, so you will need to use your initiative. For example, some Linksys routers have a Filter Multicast check box, which you can find in the Security – Firewall area. Restart iTunes: Begin by restarting iTunes on each of the computers you are using. Restart your wireless network connections: If your computers are using wireless network connections, drop each connection, then reestablish the connection. For example, on Mac OS X, click the Wi-Fi menu, or AirPort menu, on the menu bar. Then, click Turn Wi-Fi Off or Turn AirPort Off. Click the menu again, then click Turn Wi-Fi On or Turn AirPort On. Restart your PC or Mac. This move is tedious, but it clears up many problems. Restart your router. Doing this is even more tedious, because it turns off your Internet connection, but it often solves problems with Home Sharing. This is not actually a problem. In fact, it is just the way the iTunes user interface works, and it can be a bit confusing. Before you set up Home Sharing on a computer, the Home Sharing item will appear in the Source list in iTunes. This item gives you access to the controls for setting up this feature. As soon as you finish setting up this feature on your computer, the Home Sharing item disappears from the Source list. Instead, you see whichever Home Sharing libraries are available, each showing a house icon to indicate that it is Home Sharing, rather than normal sharing. This is normal. When transferring files, Home Sharing does not check if your library already contains copies of the files you are transferring. So if the files you tell this feature to transfer include files your library already contains, you will get duplicate files. To avoid this problem open the Show drop-down list and choose Items Not In My Library rather than All Items. iTunes then displays only those items in the shared library that your library does not contain. Tip: You can use the File – Display Duplicates command to identify duplicate files within your library. Home Sharing Does Not Transfer Playlists and Ratings. Some people expect Home Sharing to transfer playlists and ratings from one computer to another, but this is simply something it does not do. If you want to copy or move your playlists and ratings from one computer to another, you need to export your library from the source computer (that is, the computer that currently contains it) and then import it to the destination computer. Before you import the library on the destination computer, use Home Sharing to make sure that the destination computer’s library contains all the files that the source computer’s library contains. Want to sell your old Mac? – Just ask iGotOffer. We will buy whatever used computer you are about to get rid of, cutting edge or not, working or broken. Yes, you have got it right. iGotOffer are not trying to sell to you – we are willing to buy from you. This is your chance to have the table turned and get on the receiving end – the money – receiving one, that is – and without that much of an effort, at that: Sell my used Mac today. There are a lot of changes in iTunes 12. Some of them we love… and others not so much, but in this tutorial we’ll make sense of it all. In this class we’ll cover how to create playlists, use the genius feature, tricks to store your tunes in the cloud (or off your computer), and a lot more.